The company cautioned that consumers may have the product in their freezers. North Carolina-based poultry producer Butterball, LLC is voluntarily recalling approximately 78,164 pounds of raw ground turkey products that may have been contaminated with Salmonella, according to an announcement Wednesday from the U.S. Department of Agriculture’s Food Safety and Inspection Service (FSIS). FSIS, along with several public health partners, discovered the possible contamination while investigating an outbreak of Salmonella illnesses involving five patients in Wisconsin and Minnesota. Four of the patients lived in the same Wisconsin residence, where officials collected three Butterball ground turkey samples that tested positive for the bacteria. The Minnesota resident was tested positive for the same strain of Salmonella and also reported eating ground turkey, although the brand is unknown, according to the Wisconsin Department of Health. 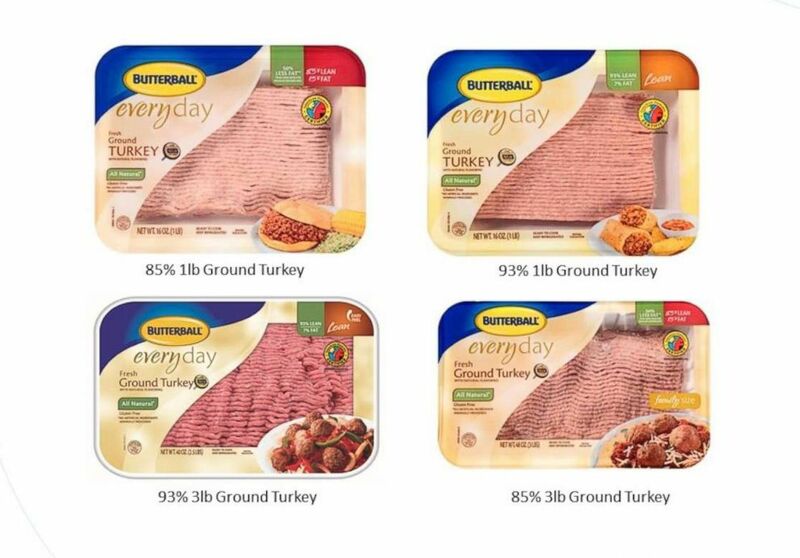 (Butterball) Some Butterball ground turkey products involved in a voluntary recall are pictured in an image released by the company on March 13, 2019. According to Butterball’s site, the ground turkey in question has a use- or sell-by date of July 26, 2018, and was shipped to institutional and retail locations nationwide. “Because these products were packaged nine months ago, it is highly unlikely any of the product will be found in retail stores, but it is possible that consumers may have product in their freezers,” Butterball spokesperson Christa Leupen told ABC News. Health officials are warning anyone who may have Butterball ground turkey in their freezer to check the date and discard any products that may be included in the recall. Consumption of food containing Salmonella can cause salmonellosis, one of the most common bacterial foodborne illnesses, with symptoms including diarrhea, abdominal cramps and fever within 12 to 72 hours after eating the contaminated food and lasting four to seven days. Butterball says that consumers with questions about the recall should call 1-800-288-8372 ext. 4 between 10 a.m. and 7 p.m. ET.